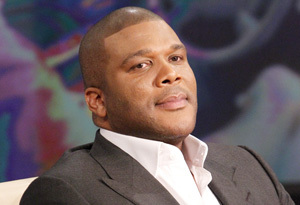 Tyler Perry is a media mogul sitting at the top of the A-list. He’s produced more than 20 plays, movies and TV shows and has rubbed elbows with entertainment elite. In 2010, Tyler was also named the second highest-earning man in Hollywood by Forbes magazine. But Tyler Perry’s life wasn’t always so fortunate. For years, he says he suffered brutal physical abuse at the hands of his father and severe sexual abuse at the hands of several adults. Inside or outside the home, Tyler says he never felt safe. Now, for the first time, Tyler Perry reveals in-depth details of his traumatic childhood and shares his personal story—a story of strength, power and, ultimately, triumph. Though they’re close friends, Oprah says she never realized how brutal Tyler Perry’s childhood really was. When she asks Tyler to describe the early years, his answer says it all. “[It was] a living hell,” Tyler says. 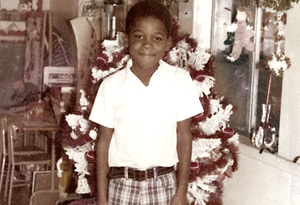 Tyler Perry at age 6. Tyler’s aunt Jerry she says he didn’t say a word when got to her house, but he was crying. “I lifted his shirt, and there were five huge welts—long and they had lines in them, and they almost broke his skin,” she says. “I got very upset. “And what did you do, Aunt Jerry?” Oprah asks. Watch Tyler describe the horrific incident. Every day, Tyler Perry says he lived in fear that something would set his father off. It got so bad, young Tyler took drastic measures. One day, he says he slit his wrists and tried to commit suicide. Read the full article on Oprah.com.